So you got the interview, congrats! You’re ready, right? You’ve skimmed your résumé to freshen up on your professional accomplishments, check. You’ve boned up on the potential new employer and the job description, check. You’ve got a few questions ready, check. You’ve read all the best books on interviewing, check. “Who am I anyway? Am I my résumé?” These lyrics from the Broadway show A Chorus Line say it all. The answer is no, you are not your résumé. Your résumé is a document full of weedy background information about you. Your résumé provides evidence to back up your personal messages but it alone does not define or describe you. For some reason, these open-ended, I-could-go-in-any-direction questions stump even the best of us. But they shouldn’t, and any standout interviewee should be prepared for these. First, be prepared with a mini stump speech about yourself/your career. It should include your personal messaging, with select résumé data as supporting evidence. This way, you are ready with a brief presentation about yourself and you’re not desperately fishing the suddenly empty waters of your brain while sitting in the interview. Second, whenever you talk about what you’re working on, choose a few highlights and then be sure to add a value clause at the end. Examples of value clauses are “… so that” or “which is expected to result in …” Laundry lists of tasks and projects share the what but not the why. Include the why. Likewise, avoid talking about yourself in chronological order of life events—e.g. “I grew up in Cleveland, went to the University of Ohio, then moved to Chicago where I began working …” If you get asked a question that calls for life details, start with the present day, work your way back, but keep it short! Chronological details are just a data dump. Be ready with personal messages or your mini-stump speech. And finally, use inquiry. Meaningful and connecting inquiry, not perfunctory inquiry. Ask the interviewer about her/his career. People like to talk about themselves and they tend to like people who ask them personal questions. Your response then needs to be either a follow-up question or an observation about them—and not a springboard to something about you. Be curious, be a good listener, and be genuine and empathetic like you would be with a friend. These four tips, if you use them, will demonstrate confidence, command, and solid preparation. I guarantee you will be memorable and stand out from the rest. Whether or not you get the job is another story, but at least you’ll know you prepared like a pro and left it all on the field. 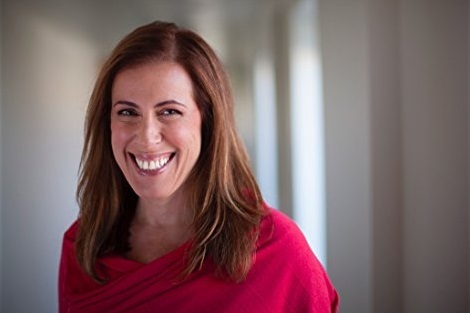 Beth Noymer Levine is the Principal of SmartMouth Communications and author of Jock Talk: 5 Communication Principles for Leaders as Exemplified by Legends of the Sports World.